Rules of Golf, we have a problem. 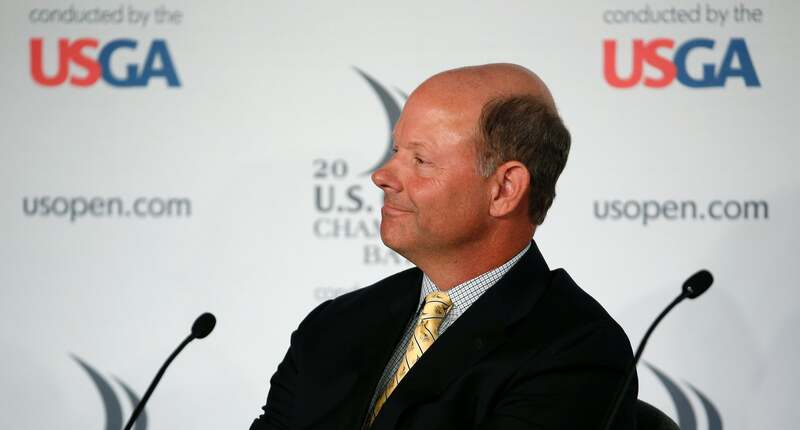 USGA Executive Director Mike Davis has acknowledged that recently amended Rule 18-2 ("Ball at Rest Moved"), which starred in the Dustin Johnson U.S. Open rules controversy, is still flawed. "We know we have a problem with the rule," Davis told Golf Digest's Jaime Diaz. "It is absolutely being looked at—we've been talking about this for months. It's better than it was, but it's not fixed." Rule 18-2 originally stated that if a ball moved when a player grounded his or her club in the address position, the player would incur a one-stroke penalty. In 2012, an exception was made to that rule: a player would not be penalized if wind and/or gravity made it "virtually certain the player did not cause the ball to move," thus forcing the rule to be rewritten as "Did the player cause the ball to move," period. That amendment has been in effect since Jan. 1 of this year and allows any calls to be reviewed. Enter Johnson at the U.S. Open, when referees originally ruled that it was 'more likely than not' that Johnson didn't cause the ball to move on the 5th green. The officials then reviewed video of the inncident and changed their minds about the ruling, ultimately assigning Johnson a one-stroke penalty at the conclusion of his round. What followed (or, more accurately, what transpired during the final round and continued for days and weeks after) was discussion, hypotheses and outrage about the rule itself and how the USGA handled the ruling. Davis didn't give a specific example of what a potential fix would be, though critics suggest starting with the obscure language of the rule. Diaz writes, "More likely than not" or "51 percent of the evidence" is a recipe for too many close calls that will leave a feeling of player victimization, especially if and when it costs someone a championship." Luckily for the USGA, that didn't happen this time. Hopefully, there won't be a next time.